Max Payne 2 is a third-person shooter, in which the player assumes the role of Max Payne, and plays as Mona Sax in a few levels. Initially, the player's weapon is a 9mm pistol. As they progress, players access weapons including other handguns, shotguns, submachine guns, assault rifles, sniper rifles, and hand-thrown weapons. To move the game along, the player is told what the next objective is through Max's internal monologue, in which Max iterates what his next steps should be. When first played, the game offers one difficulty level that is adjusted automatically if the game is too difficult for the player. For example, if the player's character dies too many times, the enemies' artificial intelligence is made less effective, while more health in the form of painkillers is made available. After completing the game once, other difficulty levels are unlocked. Two special game modes are also activated: New York Minute and Dead Man Walking. In New York Minute, the player is given a score based on the time taken to complete each level. The Dead Man Walking mode places Max in one of five scenarios, in which he must survive for as long as possible while fighting off endlessly respawning enemies. Max Payne 2 allows the player to enable bullet time, a mode that slows time, while still allowing the player to aim in real-time, to give the player more time to determine what they want to do. In this mode, the screen's color changes to a sepia tone to act as a visual cue. When in use, the bullet time meter will decrease until it is either empty or the player disables bullet time mode. The meter will eventually increase when not in use, but can be replenished quickly by killing enemies. To simulate the bullet time effect, Max can also execute a shoot-dodge maneuver. When the maneuver is performed, Max jumps in a direction specified by the player, and although bullet time is activated while Max is in mid-air, this will not deplete the bullet time meter. 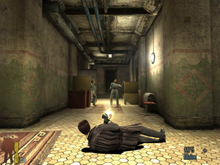 The combat system has been improved for Max Payne 2; the player can arm Max with a secondary weapon such as a grenade or Molotov cocktail, and when near an enemy, Max can pistol whip them. AI companions can occasionally come to Max's aid, although their deaths do not affect the gameplay or story. Comic panels are used as cutscenes to provide plot exposition in the game. Two years after the events of the first game, Max has been reinstated in his old job as a police detective for the NYPD. Max is called on to investigate a gunfight at a warehouse owned by Max's old associate Vladimir Lem and discovers the place has been attacked by a group of hitmen called the Cleaners. He encounters Mona Sax, who was presumed dead at the end of the previous game. Max heads to a restaurant owned by Lem and rescues him from his old foe Vinnie Gognitti; Lem claims that Gognitti is trying to monopolize the black market gun trade and sees Lem as a threat. After evading an attack by the Cleaners in his apartment, Max tracks Mona to an abandoned funhouse and learns that the Cleaners are after anyone who knows about the secretive Inner Circle. While attempting to track down a contact, Mona is arrested because of her crimes and is taken in to the police station, despite Max's protests. While at the station, Max overhears his new partner, Valerie Winterson, talking on the phone about Mona. The station is attacked by the Cleaners, who are looking for Mona. Mona breaks out of her cell, and after fighting off the Cleaners, Max and Mona begin hunting down the people responsible for the attack. Their search leads them to a construction site, where he and Mona defend themselves against the Cleaners. After their foes leave, Winterson arrives and holds Mona at gunpoint. Mona claims that Winterson is there to kill her, while Winterson claims that she is simply trying to arrest a fleeing fugitive. After several moments of consideration, Max fatally shoots Winterson, allowing Mona to escape. Before she dies, Winterson shoots Max, hospitalizing him. The Cleaners raid the hospital building looking for Max, but Max manages to fight his way out. He visits Senator Alfred Woden, the leader of the Inner Circle, who reveals that the Cleaners work for Lem; Lem wants to secure control of the criminal underground and the Inner Circle by killing Gognitti and Woden. Max raids Lem's restaurant, killing several of his henchmen, and discovers that Winterson was Lem's mistress. He races to Gognitti's hideout to save him from Lem, and the two flee to Mona's funhouse hoping that she can help them, but Lem ambushes them. He reveals that Mona is a hired gun for Woden, with orders to kill Lem and Max. Lem murders Gognitti, shoots Max and leaves him for dead. Mona rescues Max, and together, they go to Woden's mansion to save him from Lem. At the mansion, Mona knocks Max to the ground in an attempt to follow her orders to kill him, but discovers that her feelings for him keep her from doing so. Lem shoots Mona, after realizing that she will not kill Max. Woden confronts Lem, who shoots him to death in the ensuing struggle. Max and Lem fight while the mansion burns around them. Eventually, Lem is killed and Max returns to Mona's side as the police arrive, and she dies in his arms. In an alternate ending unlocked on the highest difficulty, Mona survives her wound, and the two share a kiss. Take-Two Interactive issued a press release on 5 December 2001 that announced its acquisition of the Max Payne franchise from Remedy Entertainment and Apogee Software for US$10 million in cash and 970,000 shares of common stock, and its plans to release Max Payne 2. On 22 May 2002, Take-Two announced that they agreed to pay up to $8 million as incentive payments to Apogee Software and Remedy Entertainment to develop Max Payne 2. On 3 September 2003, Take-Two officially announced a release date of 15 October 2003 for the game. 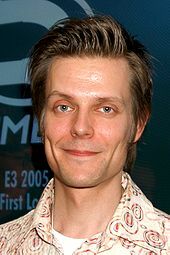 Originally modeled in Max Payne after the game's writer Sam Lake, Max's appearance was remodeled after professional actor Timothy Gibbs for Max Payne 2; James McCaffrey returned as the voice of Max. The game's plot was written by Lake, who decided to write it as a film noir love story, as he felt that it suited Max's persona the best. Lake hoped that the story would break new ground, noting, "At least it's a step into the right direction. I'd like nothing better than to see new and unexpected subject matters to find their way to games and stories told in games." Lake remarked that basic, archetypal film noir elements found in many classics of the genre "can go a long way" when telling a story, and gave examples that included a hostile, crime-ridden city; a story that takes place late at night with heavy rain; and a cynical, hard-boiled detective down on his luck. Lake considered writing a sequel to Max Payne an "art of its own". Since the setting and characters were already established, Lake decided that the primary goal of the sequel was "to keep what's good and fix what was not so good", and to take the story in surprising directions. The screenplay for the sequel ended up being three times longer than the one for Max Payne. Lake predicted that the more complex story would add to the game's replay value. The story, sometimes told through in-game dialogue, is pushed forward with comic panels that play during cut scenes. The developers found comic panels to be more effective and less costly to use in the cut scenes than fully animated cinematics. They also noted that comic panels forced the player to interpret each panel for themselves, and "the nuances are there in the head of the reader [...] it would be much harder to reach that level with in-game or even prerendered cinematics." The developers also found it easier to reorganize the comic panels if the plot needed to be changed while developing the game. Max Payne 2 uses the same game engine as the one used in Max Payne, but with several significant upgrades. Even though the game only supports DirectX 8.1, the graphics in Max Payne 2 mimic those generated by DirectX 9 by making optimal use of effects such as reflection, refraction, shaders, and ghosting. The developers considered one particular scene in which effects are used well: When Max has lucid dreams, the screen appears fuzzy and out of focus. Since Max Payne, the polygon count (the number of polygons rendered per frame) has been increased, which smooths out the edges of character models. In addition, characters have a much greater range of expressions. Previously, Max had only one expression available; in Max Payne 2, he often smirks and moves his eyebrows to react to different scenarios. The game uses the Havok physics engine, which the developers chose because it was "hands-down the best solution to our needs". They found that a dedicated physics engine was vital to create Max's combat scenes, which Max Payne was known for, "with increased realism and dramatic, movielike action". The physics engine made several situations seem more realistic. For example, when in combat, the player can take cover behind boxes; however, when enemy bullets impact the boxes, they will topple over, in which case the player will have to find another suitable object to use for cover. When an enemy is hidden behind a wall divider, the player can throw a grenade next to it to send the cover flying through the air, rendering the enemy unprotected. The Havok engine was tweaked to make weapons, bombs, and Molotov cocktails act more naturally, and the audio was updated to make them sound more realistic. The new physics engine allowed for certain actions that could not happen in Max Payne; boxes can be moved and follow the laws of gravitation, and explosion detonations make enemy bodies fall realistically. The bullet time mode that Max Payne was known for was improved; the developers referred to it as "version 2.0". The mode, which allows Max to move in slow motion to react and kill enemies more easily, was enhanced to give Max a refill of a portion of the Bullet Time gauge, as well as slowing down the passage time even further, as Max moves further "into the zone" with each consecutive kill. This was done to encourage players to aggressively dive head-on into dangerous situations rather than crouching at a safe distance and waiting for enemies to come to them. A new reload animation was also introduced, which, when Max reloads while in Bullet Time, allows him to duck to avoid bullets, spin around to survey the combat situation, and briefly pause to give the player a moment to think of a strategy. Development tools were made available for Max Payne 2 by Rockstar Games and Remedy Entertainment to allow players to create modifications for the game. Modifications can perform several functions, such as the ability to add new weapons, skills, perspectives, surroundings, and characters. Music composers Kärtsy Hatakka and Kimmo Kajasto returned to compose the game's soundtrack. It features cello performances by Apocalyptica member Perttu Kivilaakso. The game's end credits feature the song "Late Goodbye" by the band Poets of the Fall, the lyrics of which were based on a poem by Sam Lake. It was their first single and reached #14 on the Finnish Singles Chart as well as #1 on Radio Suomipop's Top 30 chart. It is referenced many times in the game, usually by characters singing or humming it. Max Payne 2 was released by Rockstar Games for Microsoft Windows on 15 October 2003, for Xbox on 25 November 2003, for PlayStation 2 on 2 December 2003, for Steam on 4 January 2008, and as an Xbox Original on 24 April 2009. Max Payne 2 was critically acclaimed. Praise focused on its action and story, while criticism targeted its length, which was considered short. Steve Polak of the Australian The Daily Telegraph, who enjoyed the first Max Payne game, also praised Max Payne 2, calling it an "outstanding" game that "keeps alive the sense of atmosphere and engaging gunplay-oriented action that was so exciting in the first release." He lauded the game for better production values compared to the first game, including its more polished story, more professional scripts, and better acting and graphics. The complexity of Max's character was a welcomed element by Polak, who found that games often created heroes that were simplistic. The Sydney Morning Herald's Dan Toose described the game's experience as "brutal, yet beautiful gun-blazing gaming". Jon Minifie of The New Zealand Herald appreciated the game's story, calling it an "entertainingly dark third-person shooter with a well-crafted, noir storyline". In particular, Minifie praised Remedy for what he deemed a successful port of the game to consoles, especially for the Xbox, noticing that the version features visuals that look similar to those on the PC. However, he found that the PlayStation 2 port was only "an okay job" that resulted in quality that was "considerably less easy on the eye", and asserted that it is outperformed by more powerful platforms. The Sunday Times's Steven Poole observed that Max Payne 2 does "exactly the same [things as the first game], only better." He found that enemies react convincingly to damage taken from bullets, thanks to the physics engine. Ultimately, however, Poole described the game as "entertaining but not earth-shattering". The Toronto Sun's Steve Tilley, who believed that Remedy did a "killer job" on Max Payne 2, felt that the company kept what was great about the previous game, "while everything else has been tweaked, overhauled and juiced up". He was a fan of the Bullet Time from the first game, and therefore appreciated seeing it return in the sequel, with "even more impressive" visuals. Tilley found that the game's "lifelike physics engine" was easily its best aspect, and noted that while playing the game, he threw a grenade across a room, which resulted in an explosion that sent enemies flying through the air in a realistic fashion. In addition, Tilley applauded Remedy for listening to fan complaints and resolving issues from the previous game, including improved dream sequences in Max Payne 2. He was, however, disappointed with the general linearity of the game, and noted that players who are not interested in film noir themes will not enjoy them in Max Payne 2. Concluding, Tilley commented that the game "has enough polish, cinematic flair and outright mayhem to thrill those who like their Sopranos with a dash of John Woo and a touch of Frank Miller." The game's action was praised by several reviewers. GameZone called it cinematic and action-packed, noting that the final scene was worthy of the big screen. Similarly, GameSpy described the action as "adrenaline-pumping", and considered it comparable to what was available in film. The story was both applauded and criticized. Tom McNamara of IGN enjoyed playing in the film noir setting and believed that it adds dramatic depth to Max and Mona's story, "somehow [making] what's going on more important and interesting. Wreaking havoc is nice, but it's great to also have a love interest complicating things, and Mona Sax is definitely up to the task." However, he was turned off by some of the "hammy" dialogue. In contrast, 1UP.com cited the final boss as an ending that inadequately completed an otherwise excellent game, and the Sunday Times' Poole called the story "pungently cheesy". Max Payne 2's length disappointed critics, including GameSpot and IGN, which complained about the short story. Toose of the Sydney Morning Herald was also critical of the short single-player experience, but found that the higher difficulty levels and special "survivor" modes helped improve the game's replay value. Max Payne 2 was the recipient of several industry awards, including Outstanding Art Direction at the Golden Satellite Awards 2004; Editors' Choice Awards from GamePro, IGN, GameSpy, and GameSpot; and Game of the Month from Game Informer. 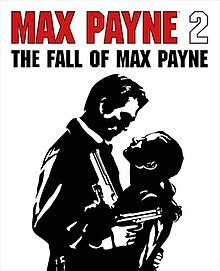 Despite a positive reception, Max Payne 2 sold poorly, leading Rockstar Games' parent company Take-Two Interactive to cite the "continued disappointing sales of Max Payne 2: The Fall of Max Payne" as one of the causes for the company's reforecasted sales for 2004. ^ Ported to Xbox and PlayStation 2 by Rockstar Vienna. ^ Used by the Xbox and PlayStation 2 versions. ^ a b c 1UP Staff. "Max Payne 2: The Fall of Max Payne (PC)". 1UP. Archived from the original on 24 May 2011. Retrieved 19 December 2008. ^ Max Payne 2 instruction manual. Rockstar Games. 15 October 2003. ^ "Max Payne 2: The Fall of Max Payne (PC)". GameZone. 15 October 2003. Archived from the original on 25 December 2008. Retrieved 19 December 2008. ^ a b Reed, Kristan (20 October 2003). "Max Payne 2: The Fall Of Max Payne Review". Eurogamer. Retrieved 19 December 2008. ^ a b c "Max Payne 2 Game Guide". GameSpot. Retrieved 19 December 2008. ^ "Take-Two Interactive Software, Inc. Announces Max Payne 2 is in Development". Take-Two Interactive. 5 December 2001. Retrieved 31 January 2009. ^ "Take-Two Interactive Software, Inc. Announces Max Payne 2 Is In Development". 3D Realms. 22 May 2002. Retrieved 5 February 2009. ^ Walker, Trey (6 June 2002). "Max Payne 2 worth $8 million?". GameSpot. Retrieved 21 December 2008. ^ "Take-Two Interactive Software, Inc. Reports Record Third Quarter Fiscal 2003 Financial Results". Take-Two Interactive. 3 September 2003. Retrieved 5 February 2009. ^ a b c Kosak, Dave (20 October 2003). "Max Payne 2: The Fall Of Max Payne (PC)". GameSpy. Retrieved 19 December 2008. ^ a b c "Max's Pain". IGN. 19 September 2003. Retrieved 22 December 2008. ^ "Max Payne 2: The Fall of Max Payne". MobyGames. Retrieved 21 December 2008. ^ a b c Abazovic, Fuad (2 November 2003). "Max Payne 2 has magnificent graphics". The Inquirer. Retrieved 21 December 2008. ^ Butts, Steve (13 August 2003). "Max Payne 2: The Fall of Max Payne". IGN. Retrieved 21 December 2008. ^ a b c "Max Payne 2 Q&A, exclusive media". GameSpot. 19 September 2003. Retrieved 21 December 2008. ^ Butts, Steve (7 October 2003). "Max Payne 2: The Fall of Max Payne". IGN. Retrieved 22 December 2008. ^ "Max Payne 2 Mod Info". Rockstar Games. Archived from the original on 30 April 2009. Retrieved 21 December 2008. ^ "POETS OF THE FALL - LATE GOODBYE (SONG)". www.finnishcharts.com. Retrieved 20 January 2018. ^ "Late Goodbye hits no. 1". poetsofthefall.com. 8 May 2004. Archived from the original on 7 October 2007. Retrieved 20 January 2018. ^ a b "Max Payne 2: The Fall of Max Payne (PC)". Metacritic. Retrieved 17 December 2008. ^ a b "Max Payne 2: The Fall of Max Payne (Xbox)". Metacritic. Retrieved 17 December 2008. ^ a b "Max Payne 2: The Fall of Max Payne (PS2)". Metacritic. Retrieved 17 December 2008. ^ "Rockstar Games". Steam. Retrieved 19 December 2008. ^ "Max Payne is an Xbox Original". Xbox. Microsoft. 24 April 2009. Archived from the original on 30 April 2009. Retrieved 30 April 2009. ^ a b Kasavin, Greg (16 October 2003). "Max Payne 2: The Fall of Max Payne Review". GameSpot. Retrieved 19 December 2008. ^ a b "Max Payne 2: The Fall of Max Payne (Xbox)". GameZone. 25 November 2003. Archived from the original on 7 December 2008. Retrieved 19 December 2008. ^ a b c "Max Payne 2 Review". IGN. 16 October 2003. Retrieved 19 December 2008. ^ a b Tilley, Steve (26 October 2003). "Payne Sequel has Grit and Polish". The Toronto Sun. p. S12. ^ a b Minifie, Jon (22 January 2004). "Max Payne 2 (PS2/Xbox)". The New Zealand Herald. ^ a b Polak, Steve (8 January 2004). "Max is back and the fun is right on target". The Daily Telegraph. p. T18. ^ a b c Toose, Dan (13 December 2003). "All guns blazing". Sydney Morning Herald. p. 22. ^ a b c Poole, Steven (18 January 2004). "Max Payne 2: The Fall of Max Payne". Sunday Times. ^ "2004 8th Annual SATELLITE Awards". International Press Academy. Archived from the original on 18 December 2008. Retrieved 19 December 2008. ^ "Max Payne 2 awards". Rockstar Games. Retrieved 19 December 2008. ^ Feldman, Curt (2 February 2004). "Take-Two adjusts financials south, blames Max Payne's poor showing". GameSpot. Retrieved 19 December 2008.